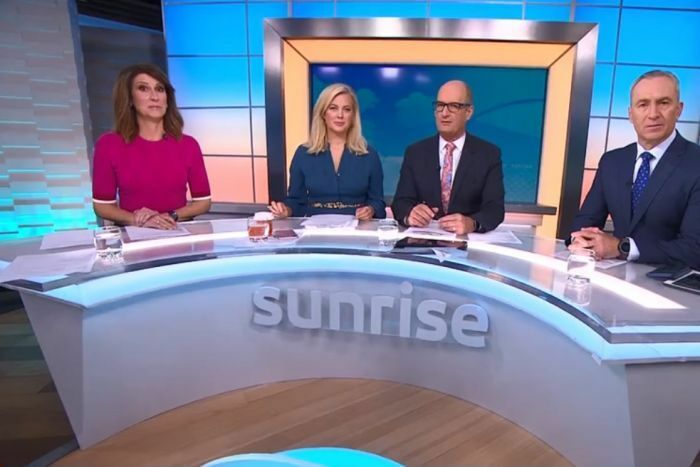 Residents from a remote Northern Territory community have launched defamation action against Channel Seven, over a controversial segment on its Sunrise breakfast program. In March last year Sunrise broadcast a segment about non-Indigenous families caring for Aboriginal children who have been exposed to abuse, which was later found to have breached the commercial television industry code of practise. Lawyer Peter O’Brien said it illustrated the story with footage of residents in Yirrkala, an Aboriginal community of about 850 people 1,000 kilometres east of Darwin. Even though a blurring filter was used, he said adults and children were still able to be seen and identified. He said the footage was originally shot with the resident’s permission as part of a story about a positive health initiative, and was disturbed to now see it played in such a negative context. “Simply picking up this footage and playing it behind that sort of context, particularly with the very sorry message that’s being pushed in this particular program, is very disturbing,” Mr O’Brien said. “They were able to identify themselves and have had others identify them. In a statement, Mr O’Brien’s law firm said it will be argued in the Federal Court that the context of the commentary resulted in defamatory imputations that the people featured in the footage had abused, assaulted or neglected children, were incapable of protecting their children, were members of a dysfunctional community and were people who participated in a harmful culture. Channel Seven pointed out that the footage was blurred. “The proceedings relate to some footage used in the background to the story which was blurred to prevent any person being identified and Seven is able to defend the case on that basis,” a Seven spokesman said. The case was heard in Federal Court in Sydney yesterday, and will resume on June 12.